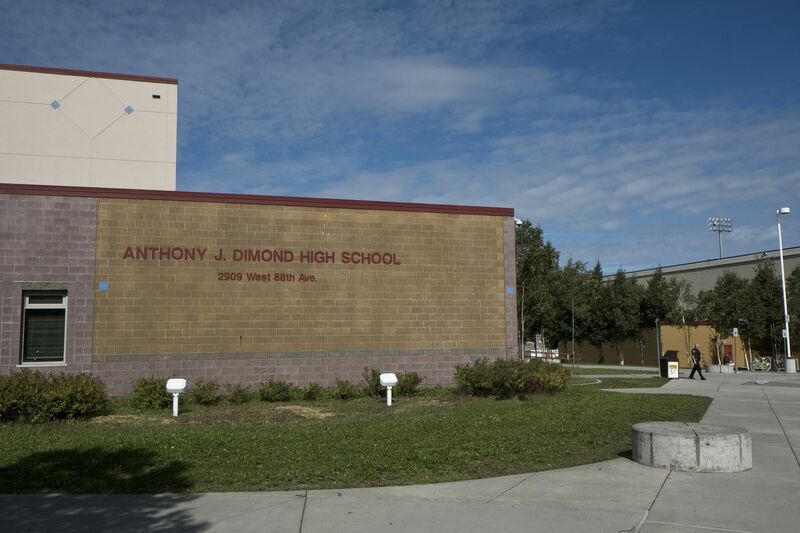 Police sent the Dimond High football case to state prosecutors. What happens next? Anchorage police announced last week they had closed their investigation into sexual assault allegations involving Dimond High School students and sent the case to state prosecutors. Here's what we might see moving forward. What's the Dimond High investigation about? Officials haven't released many details, but said the reported incident happened when the Dimond High football team traveled to Fairbanks in August for an away game. We don't know the ages of the players accused of participating or how many there were. We don't know what exactly they're accused of. The district has said nothing publicly about the specifics of the accusations. The superintendent has called it "serious inappropriate behavior." Anchorage police said they were investigating allegations of "sexual assault." Parents connected to the football team have said the incident involved upperclassmen. The ages of the players being investigated could make a big difference in what happens next. But even with limited information, there's a basic range of legal scenarios that could play out. Anchorage police sent the case to the Office of Special Prosecutions. What is that and why was it sent there? The Office of Special Prosecutions is a division of the Alaska Department of Law. Among other specialties, it handles cases that are so complex or resource-intensive that they could drown a local district attorney's office, said John Skidmore, director of the department's criminal division. Police sent the Dimond High case to the Office of Special Prosecutions because it involves two jurisdictions — the alleged incident happened in Fairbanks, but it involves Anchorage students, said MJ Thim, Anchorage Police Department spokesman. Skidmore said he figured police made the referral because of the intensity and complexity of the case. So state prosecutors have the case. What happens now? Skidmore said he couldn't speak to the Dimond High case directly. – The juvenile defendant is waived into adult court system. – The case is resolved through the juvenile court system. – State prosecutors decide no crime occurred or a crime would not be provable in court and decide not to pursue charges. How are cases involving juvenile defendants sent into adult court? Under Alaska law, teenagers who are 16 or 17 and are charged with certain crimes are automatically tried in adult court, according to Skidmore. Those crimes include the most serious crimes against people, like murder and assault, as well as the highest-level sexual assaults. First-degree sexual assault is defined as penetrating a person without their consent, and would be considered an unclassified "auto waive" offense. Under a seldom-used mechanism called a "discretionary waiver" prosecutors can ask a judge to send a 15 year old or younger defendant to adult court based on the seriousness of the charge. It doesn't happen often, Skidmore said. If a minor is sent to adult court, the rest of the process proceeds just as it would if they were over 18. That means court hearings and documents would be open to the public. It also means that the defendant could await trial or serve out their sentence if convicted in adult prison. Right now, the Alaska Department of Corrections has 15 minors in custody, said spokeswoman Megan Edge. All of them are 17 year olds. What happens if a case is sent to the juvenile court system? A case could be sent to the juvenile system under two scenarios: First, if it involved 16- or 17-year-olds but a crime that doesn't meet the level of seriousness for an auto-waiver to adult court. The second scenario is if the defendant or defendants are younger than 16. Even if the charge was a first degree sexual assault, prosecutors would have to get a discretionary waiver for it to be heard in adult court. If the prosecutors choose not to try for a waiver or if the crime wasn't serious enough, the case or cases would be sent to the Division of Juvenile Justice. If that happens, don't expect to hear more about it. All proceedings in the juvenile system are strictly confidential, said Division of Juvenile Justice Director Tracy Dompeling. The division operates within the Alaska Department of Health and Social Services and has a different philosophy than adult justice: Rather than being punitive, the juvenile system is largely focused on rehabilitation, Dompeling said. No matter how serious the crime is, if a juvenile is convicted they have to be released on their 19th birthday. The conviction won't show up in their public records, and doesn't have to be disclosed when applying for jobs or college. That's a reflection of the idea that young people have a capacity to be rehabilitated, Dompeling said. When will state prosecutors make a decision on the Dimond High case and will that decision be made public? Skidmore said he couldn't provide a timeline. It hasn't been decided whether state prosecutors will publicly announce their decision, he said. Making such an announcement is not consistent with policy, but that doesn't mean exceptions aren't made. "That's an internal discussion that we'll have to have," he said. What has happened in other states? Without knowing the specifics of the allegations at Dimond High, it's hard to say if there are analogous cases in the Lower 48. But a major investigation by The Associated Press found that sexual assaults on high school sports teams are often minimized as "hazing" and perpetrators are rarely prosecuted.